Today's Behind the Operation Christmas Child Shoebox story shows us that we are never too young to dedicate ourselves to a project we are passionate about. Cora has found a creative way to fund her passion (I've included several pictures of her products from her blog for you to see). 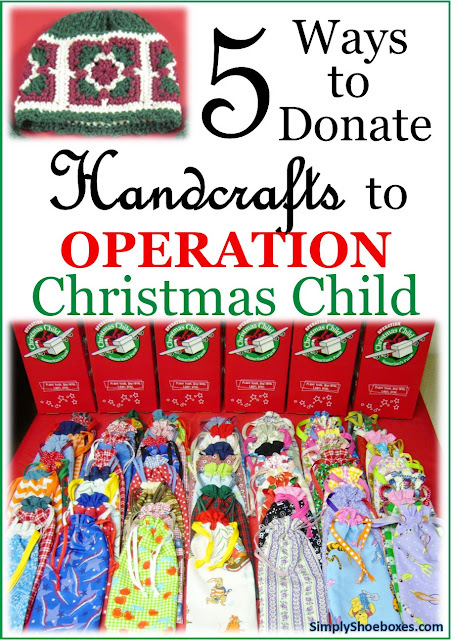 My daughter was gathering items to donate to Goodwill and knew that I was interested in upcycling items into new gifts for my Operation Christmas Child Shoebox gifts. She had these two cotton skirts that were perfect for turning into pillowcase style dresses for a 2 to 4 years old girl's shoebox! Thankful to see this sweet little one in Uganda in a dress I made. As we celebrate Thanksgiving here in the United States, my mind and heart agree that I am thankful to be on the giving end of the Operation Christmas Child shoebox. May I work harder than ever this year to share with those in need, encourage and inspire others who also give, and next Thanksgiving may I be able to look back and be thankful for what I have been privileged to accomplish. With national collection week behind us, those of us packing shoe boxes for Operation Christmas Child, are ready to begin thinking about the boxes we will give in 2014. By shopping and crafting all year long we can pack our boxes for less and either pack more or pack them fuller. I wanted to share a simple way to organize your shopping/packing to be able to keep up with your fillers for those of you packing a few to several boxes. 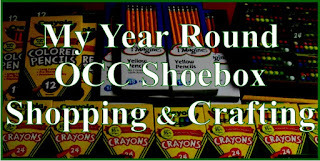 If you are planning on packing several dozen or hundreds check out this spread sheet I made a few years ago: Shoebox Supplies Check Off List--You can print them off, tuck them in a notebook and check them off as you shop all year and you will know when you have enough of each item. 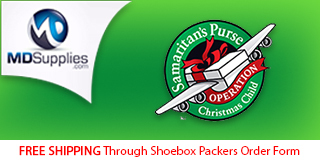 What is better than getting free stuff for your Operation Christmas Child shoebox stockpile? Having someone else shop for you and getting it free. My daughter Sarah is a CVS expert. I started a blog, Simply CVS, a few years back and last summer I turned it over to her...she is the real CVS expert of the family. Today's shopping trip netted her some great household items, but also some great items for our shoe box stockpile: all for free. They say a picture is worth a thousand words...here are 23,000 words for you to enjoy. The 2013 Spur of the Moment Operation Christmas Child Packing Party in Pictures. 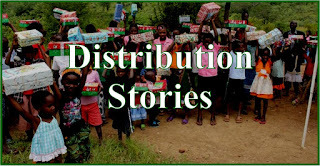 This first in our new series of Behind the Operation Christmas Child Shoebox: Stories of Sharing is not only introducing an individual but a group she has developed on Facebook and invites us all to join. Meet Jo (and some of her crafting friends & their work). My name is Jo, I live in the UK and I'm the administrator for a Facebook page called Crafting for Shoeboxes. This will be my tenth year of making shoeboxes for Operation Christmas Child. In the last few years, I've been making some items for my boxes and also putting together kits to encourage the child to craft. When I told my friend Carol, a fellow shoeboxer and crafter, that I'd been thinking about setting up a page for people like us, she was very enthusiastic and so Crafting for Shoeboxes was born. 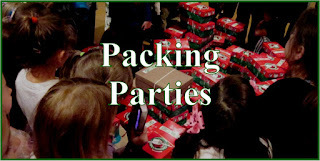 I will be bringing a complete photo essay to you in the next couple of days of our Spur of the Moment Operation Christmas Child packing party, but I just wanted to stop by and share my favorite story my daughters and husband shared about the party. We are always reading how the perfect box gets delivered to the perfect child on OCC distributions. Now we have one of own about the perfect filler being packed by the perfect child. By the way it was "WACKY" night so she was wearing a wacky mask. If you have been reading along our Spur of the Moment Operation Christmas Child packing party posts you will remember I mentioned we came up short on EMPTY boxes to fill! We sent out pleas far and wide to get boxes. My friend owns a small, discount craft/fabric store and I asked her if she would mind putting a plea out on her store's Facebook page. She said sure and shared on her personal page, too. A trunk full of filled shoe boxes! Because of those pleas enough shoe boxes came into the store to fill our need. I had given her OCC brochures, too, and she mentioned in the posts that if anyone wanted to pack their own box they could get all the information in the store. My daughter received a text from her today that a church's women's group packed 17 boxes and dropped them off at the store! They also handed her a check made out to Samaritan's Purse to cover the shipping. And these boxes were PACKED FULL!! They are heavy! What a fun surprise came out of our need for empty shoeboxes! If you would like to use the Wanted! Poster we made for collecting empty shoeboxes you can find it here: Wanted! Empty Shoe Boxes for Packing Operation Christmas Child Sheoboxes. This is the "almost" final accounting of our spur of the moment packing party for Operation Christmas Child. We had ordered some 88 cent sewing kits from a local craft store last week and they received the wrong item. The supplier was to ship a replacement order to arrive yesterday...it didn't. The party is tonight, so if it doesn't show up this morning my daughter will be buying them at Dollar General for $1 each. Went from store to store listing prices. Figured what each box should cost. Figured from that she could fill just 75. Shopped at various stores to get the lowest price for each item. If she had more time she could shop a little more and fill a dozen or so more with the cash balance. But for the first time hosting a packing party and doing it in less than two weeks I think she did a fantastic job. We had fun helping her! Tonight...The Packing Begins! Follow along with our family as I share our journey of The Spur of The Moment Operation Christmas Child Packing Party of 2013. Our spur of the moment packing party for Operation Christmas Child is scheduled for this Wednesday night's AWANA club at our church. We planned to set up tonight, Tuesday, but there was another group using the gym and we didn't want to disturb them so we went last night and set up. The light was so low that these images will be very dark and grainy. I love a good story! And biographies top the list! So it is natural to gravitate toward the stories of those who work behind the scenes to get shoe box gifts to children in need around the world. From the average packer to the crafter of fillers, from the deal shoppers to the year round volunteers, from the fundraisers to the Operation Christmas Child employees, they all have a story to tell. It is my desire to find out their stories and to bring them to Simply Shoeboxes so you, too, can take a look Behind the Shoe Box and read these Stories of Sharing. 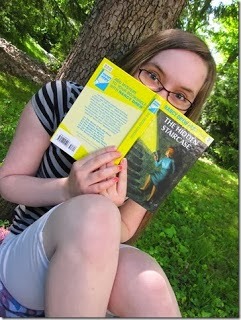 And I hope, like me, they inspire you to keep on doing what you love to do behind the shoe box scenes. Each week I plan to introduce you to a shoe box packer. You can click on this banner in the sidebar anytime to see them all. 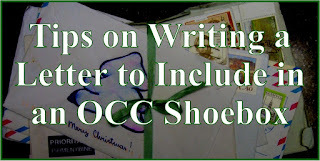 If you have a story to tell or know of someone who would be perfect for this series, check out this page with all the information you need to know to guest post: Tell Your Shoe Box Sharing Story. I would love to hear your story. Do you recall the song "Wouldn't It Be Loverly?" from My Fair Lady? It came to mind the other day and I began singing "All I Want is Shoebox Please" in place of "All I want is a room somewhere." I cannot give these children a room from the cold night air, but I can give them an Operation Christmas Child shoebox with a few necessities and niceties. I just had to re-write the lyrics into what a needy child may wish for. Packed with love, care and things I need. I thrive on organizing things so I loved being able to help my daughter sort her goodies for the 125 boxes to be packed by the AWANA kids at church Wednesday night for Operation Christmas Child. What I don't thrive on is last minute anything. But when you have less than two weeks to plan, buy for and prepare a packing party for kids, there is much last minute preparation. Thankfully I was in possession of dozens of banker boxes to use to sort the fillers. They hold a lot and are easy to handle. We are in the middle of a spur of the moment Operation Christmas Child packing party, as most of you know, but that didn't stop my daughter from bringing home some goodies for next year's boxes. I am so thankful to have a computer and home printer. I use them both daily for a variety of items, and they have certainly come in handy for our spur of the moment Operation Christmas Child packing party. We printed off the letter form from Operation Christmas Child and had the kids at church fill them out to include in the boxes (actually, I found out my daughters had this printed on the copier at church--but I wanted to include it in this post as a printing resource). To better ensure each box will be getting each item. 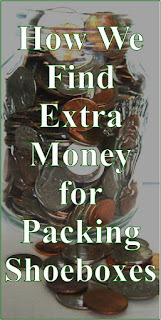 Make it easier on the kids packing the boxes. Request for small stuffed animals & Beanie Babies. Results: 19 loveys for boxes! As many of you know, crafting your own items to fill shoe boxes for Operation Christmas Child can really stretch the budget while giving a very personal touch to the gift. I know many of you craft all year for your own boxes and for packing parties you are involved in. While throwing together a spur of the moment packing party on a budget takes a lot of time, we still found some time to do some easy, quick to make handcrafted items to save on the budget and personalize the boxes. Hygiene items ready to be packed in zipper bags. Each box we personally pack for Operation Christmas Child includes many hygiene items. We wanted to include as many as our given budget could afford in our supplies for the packing party. We always bag our soap in sandwich zipper bags to contain the fragrance...even tho we use Ivory which is mild. Candy double bagged to protect items in boxes in case of melting. Because I collect Operation Christmas Child shoe box supplies all year long I often have an odd assortment of supplies left over that cannot make up complete boxes. But I don't mind because I plan it that way...I then donate the leftovers to packing parties or send them to the OCC processing center to be used as fillers. So when my daughter announced she was to quickly pull together a packing party of 100 boxes we needed to take inventory of what we had before she went shopping. They say "it takes a village to raise a child." We now say, "it takes a family to pull together a last minute packing party of 100+ shoe box gifts for Operation Christmas Child." As I explained in my earlier post, "Spur of the Moment Packing Party for 100 OCC Boxes ~ "On a Wing and a Prayer"," my daughter was asked to put together and shop for a shoe box packing party for our AWANA kids at church in two weeks time. As this is not her only responsibility we have joined along side of her to help her pull it off on a limited time and financial budget. Spur of the Moment Packing Party for 100 OCC Boxes ~ "On a Wing and a Prayer"
My daughter found out Wednesday night at AWANA that she was placed in charge of the Operation Christmas Child shoebox packing party planned for Wednesday the 20th. That gives her 12 days for planning, hunting and gathering supplies and a day to set up the day before. We feel like the plane with a motor out coming in "on a wing and a prayer." 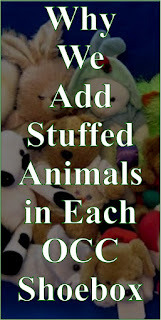 last night and grab 99 cent stuffed animals and a few other goodies. I think I am addicted to sewing these pillowcase style dresses! They are so fun, quick and simple to make, and so adorable. 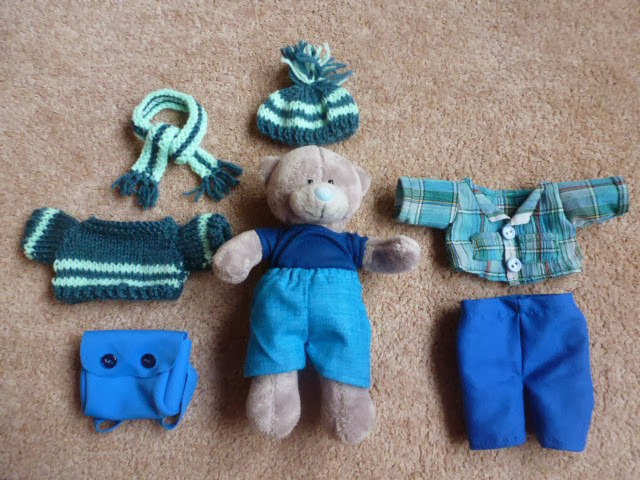 I have always wanted to include more clothing in my Operation Christmas Child shoe boxes and these are perfect--they fold nicely into zipper bags--2 to 4 year olds I put in sandwich size and the larger sizes I put in quart size. My husband found some toddler socks on clearance at Dollar General a while back when they had 50% off clearance items and picked up two packages for me. Each pack has seven pairs of socks--this means I can include socks with 14 of my dresses. I am having fun matching them up! 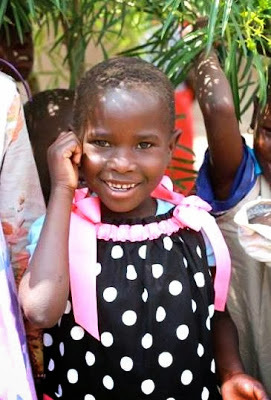 Check out this precious smile on a girl wearing a dress I made. 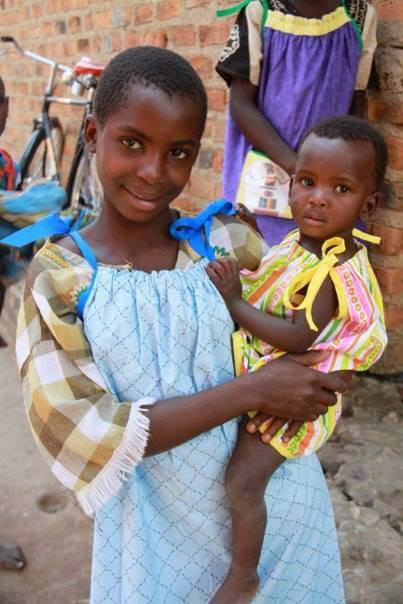 She received it this summer in Uganda thru Dress A Girl Around The World. Perhaps it is these smiles that keep me addicted to sewing these dresses to tuck into my Operation Christmas Child shoeboxes. You can see many of the dresses I've made in this series of posts: Handmade by Cheryl. Click on image for a larger, clearer view, not sure why it is blurry. I am working on packing pillowcase dresses as fillers for the Operation Christmas Child shoebox distribution center. I have decided to tuck them into quart size ziploc bags (my husband picked up at Dollar General when they were 50% off the clearanced sticker price) and squeeze all the air I can out of them to make them as small as possible. I have some mailing labels I got free after MaxPerks rewards from Office Max and found these delightful Christmas label templates in my Publisher program. I'll stick one on each bag and pack them in boxes plainly marked with the same information on the outside hopefully making it easy for them to be used by the volunteers inspecting the shoeboxes at the Operation Chirstmas Child processing center. I hope this tip is an idea someone else can use. 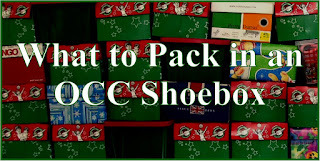 If you are looking for more tips for packing shoeboxes check out our series of Tips for Packing Operation Christmas Child Shoeboxes. 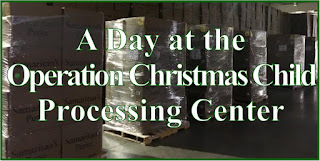 And if you'd like to see more about the OCC processing center or the need for fillers check out this post: A Day at the Operation Christmas Child Shoebox Processing Center. 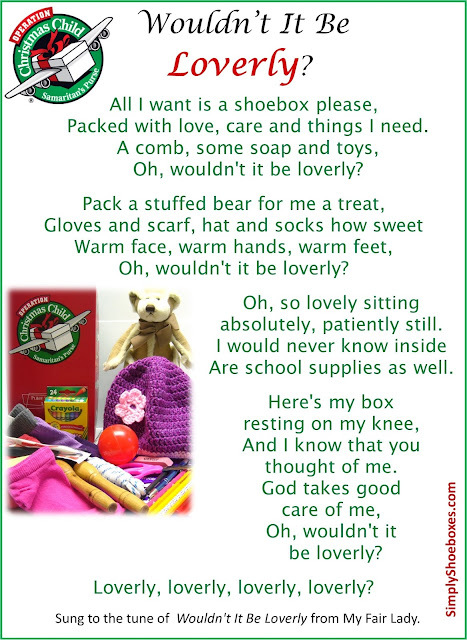 One of my favorite items to pack in an Operation Christmas Child shoebox is something I have made. 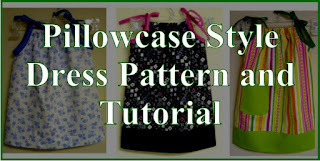 And because I enjoy designing my own patterns, I have written tutorials to share. 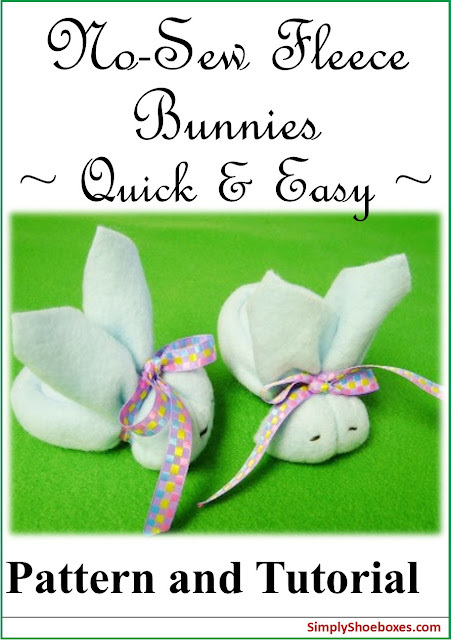 They include sewn, no-sew, crochet and upcycled. 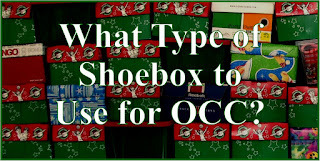 Each crafting for OCC shoeboxes tutorial has step by step, illustrated instructions. 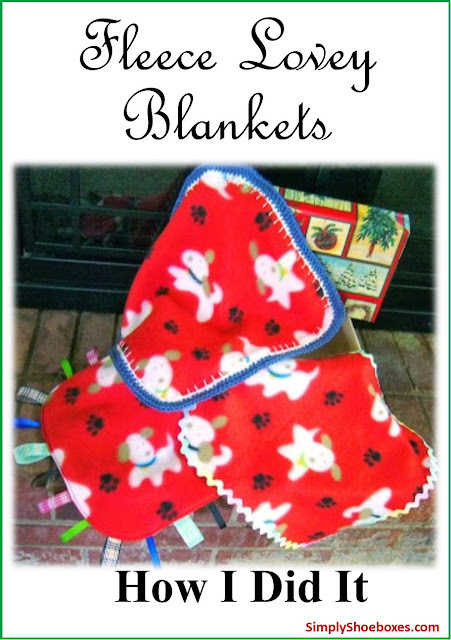 I also enjoy sending extra crafted items to the Operation Christmas Child processing centers as fillers. 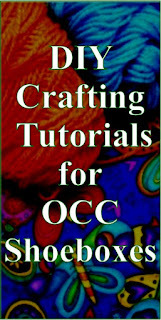 If you are interested in donating handcrafted items directly to OCC click the banner on the right. I've included some of my finished projects for shoeboxes at the bottom. 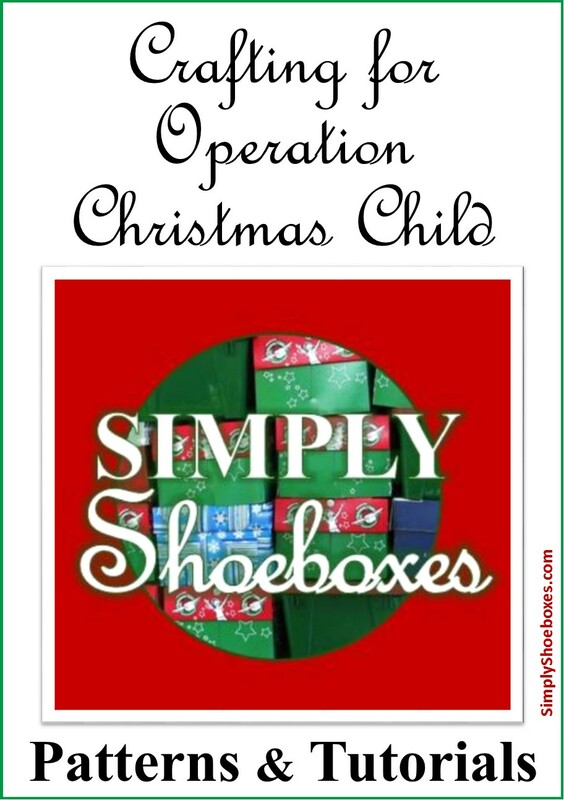 I would love to have you tell your shoebox sharing story here at Simply Shoe Boxes. 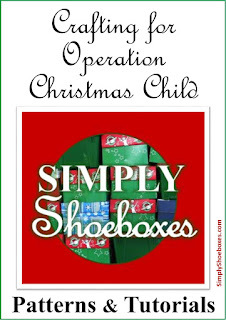 I love hearing how others are involved behind the Operation Christmas Child shoebox scenes. If you would like to submit your story as a guest post here please follow these guidelines. We will contact you to let you know when your story will be shared. Use an autobiographical form in 750 words or less. The use of bullets or numbered items helps break up a long post and keeps readers reading. Use them if possible, if not it is no problem. Do you have a special memory from your involvement? Are you a year round volunteer? Are you an OCC employee? Anything that details your story. How do you raise funds or gather supplies you need? Do you blog about it or keep a Facebook page? 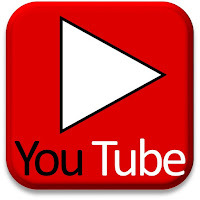 Include links to these if you do. Include images that illustrate your involvement. Add Subject Line: "Behind the Shoe Boxes Story"
Attach your images to the email. I have never done a series of quest posts and may run into problems I do not see, but as of now I plan to post every story I receive. If I begin receiving too many I may not be able to post them all in a timely manner. But we will deal that when it happens and I will let you know if I may not be able to post all that I receive. 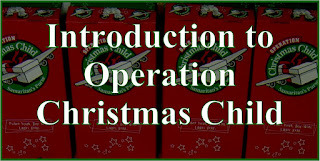 You can read thru the stories already published here: Why I Pack Operation Christmas Child Shoeboxes.